On 30th January 2015, the breakout space at the Wolfson Education Centre at Imperial’s Hammersmith campus was buzzing with more than 100 dates between 40 Imperial academics from different faculties, and representatives from 7 major Pharma companies. “The Pharma speed dating event fits with our strategy to strengthen Imperial relationship with the Pharmaceutical industry and to provide young PIs an opportunity to have their first industrial interactions”. Academics had only 20 minutes to pitch their ideas to company representatives and discuss common interest for collaborations. Both academics and company representatives enjoyed a day of interesting and open scientific discussions. Following on from the event, the Corporate Partnerships team is busy following up with several companies who have opened opportunities for collaboration with the College. The Corporate Partnerships team is expecting to run this event again next year. If your company is interested in participating in the next speed dating @ ICL event, please get in touch with us at enterprise-fom@imperial.ac.uk. On 30 of January,the breakout space at the Wolfson education centre was buzzing with more than 100 dates between 40 Imperial academics from different faculties, and representatives from AstraZeneca, GSK, Lillly, MedImmune, Pfizer, Sanofi and UCB pharma. As a result, follow-up conversations are ongoing, and GSK and Sanofi are coming back to Imperial to search for collaborations. The first ICL-Pharma Speed Dating event was part of the launching program of the Imperial Confidence in Concept funding scheme, and was organized by the Corporate Partnerships team. 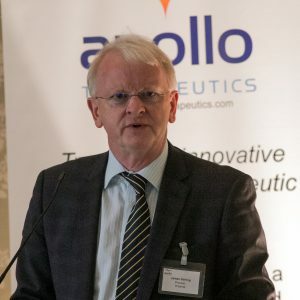 Jonathan Weber, Vice Dean (Research) said “The Pharma speed dating event fits with our strategy to strengthen Imperial relationship with the Pharmaceutical industry and to provide young PIs an opportunity to have their first industrial interactions”. Academics had only 20 minutes to pitch their ideas to company representatives and discuss common interest for collaborations. The event was also the launch of the new Entrepreneur in Residence (EiR), Dr Lynne Murray. “During my tenure as the EiR at Imperial, I will act as an advisor, mentor and trouble-shooter for translational and commercial research directions. I did my PhD at Imperial and I am absolutely thrilled to spend time with Imperial academics” said Lynne. 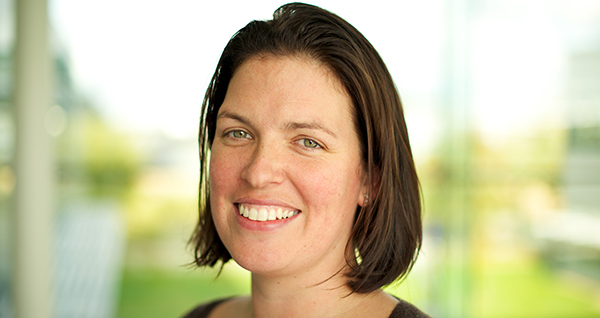 Currently employed by Medimmune, Lynne will act as a confidential and independent advisor with more than 15 years R&D and BD experience in the pharmaceutical and biotechnology industry to provide advice on translational research collaborations with industry. Both academics and company representatives enjoyed a day of interesting and open scientific discussions. 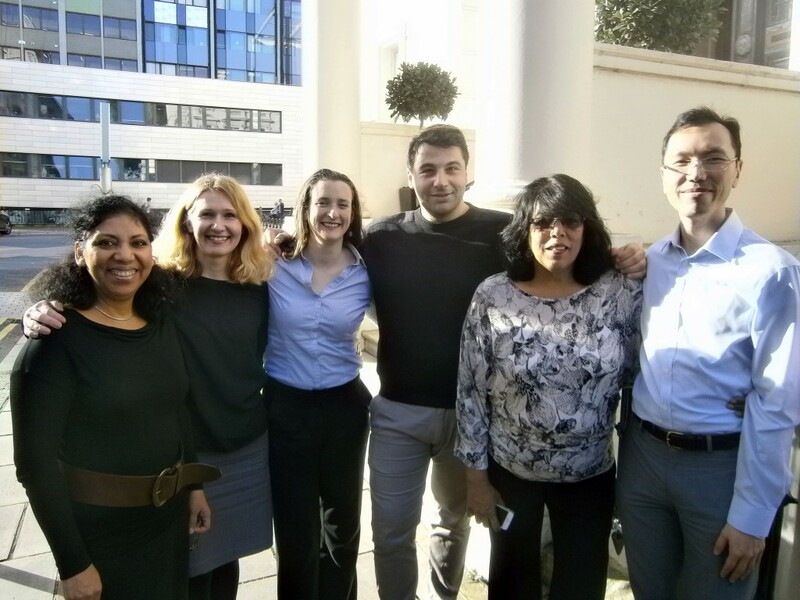 Silvia Santos, a starting group leader at the MRC-Clinical Science Centre said “ It was very informative to understand what a therapeutic target is to pharma companies and the path to get into having a potential interesting target. But perhaps even more exciting was realising how complementary our approaches in the lab are with some of the companies and start discussions for potential collaborations”. As a result of the event, the Corporate Partnerships team is busy setting second dates, and several companies have opened opportunities for collaboration with Imperial College. Genzyme opened a call for projects in inherited rare diseases that will be followed by a visit of their research team to discuss with short-listed candidates. GSK gave a presentation on their Discovery partnerships with Academia and Fast Track challenges, on 23 March at the Wolfson education centre on the Hammersmith campus. All these calls are advertised through different channels including Faculty mailing lists, and research managers. If you have any questions about these initiatives or you would like to discuss potential industrial collaborations, please get in touch with the Corporate Partnerships team at enterprise-fom@imperial.ac.uk. During the 20+ years that Imperial Consultants (ICON) has been facilitating commercial consultancy projects for Imperial’s researchers, we have seen staff expertise make a real difference to the world in many ways. Contributing to the development of revolutionary new drugs and maximising patient care standards through innovative staff training techniques are just the tip of the iceberg. With the rise of the impact agenda as a way to monitor the value of research, demonstrating research impact is now an essential element of any successful research career. The scope for FoM researchers to do this by acting as consultants to external organisations is expanding as the global quest for improvement and innovation in medicine and healthcare rolls on. The boundaries between academia and the outside world are becoming increasingly blurred and the need for academic, research-generated knowledge to address the latest challenges in the medical field is on the rise. Undertaking consultancy often allows you to demonstrate the benefit that your expertise conveys to industry and society in a relatively short space of time, and it can provide real-world examples to give context to your teaching. Add the fact that it can spark new ideas for research and brings in a bit of extra income and you’d be right in thinking that it is a constructive route to explore….or resurrect if you’ve not undertaken a project in a while. ICON is here to help you throughout the process. Our dedicated business development staff – Andreas Ballis and Louise Chisholm – can advise you on the consultancy market and pricing in your area of expertise. They specialise in building relationships with external organisations to develop consultancy opportunities for you. Our Head of Contracts – Azra Awan – can assist you in negotiating Terms and Conditions with the client to minimise your risk in undertaking the work. Finally, our project administration staff – Alfred Li, Elena Martynenko and Monica Villafana Cerna – are here to handle invoicing and payment and ensure that your project runs smoothly, allowing you to concentrate on the task in hand. For more information on our service, please download our Quick Guide to ICON’s Service (PDF file 295 KB). A select group of people from across the NHS, healthcare and University sectors were invited to the inaugural Faculty of Medicine Health Policy and Engagement Event chaired and hosted by Professor Dermot Kelleher on 10th July. Professor Kelleher spoke in relation to the importance of these events to engage with our partners to discuss items of strategic importance and generate new and innovative ideas which aim to impact on healthcare. Professor the Lord Darzi, Chair of the London Health Commission reporting directly to the Lord Mayor, presented on the latest thinking on the Commission which is examining how London’s health and healthcare can be improved for the benefit of the population. 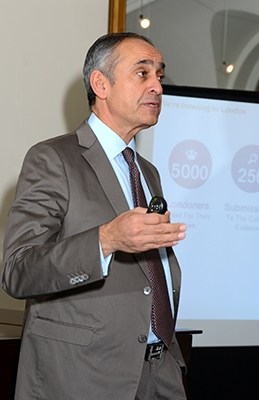 Following an extensive engagement process, Professor Darzi summarized the proposals received thematically as ; (1) Better health for everyone, (2) A better deal for London’s children, (3) better health through better care (4) enablers for better care, (5) Stronger health economy and research and (6) Leadership for better heath. Professor Darzi commented on groups in London with different care needs which need to be addressed (physical, mental and social needs) and strongly believes that the London Health Commission presents a unique opportunity to bring together health, local government, NHS and commissioners for the benefit of the population. Examples of suggested initiatives likely to impact on the health of Londoners if introduced include improving access to primary care , rewarding active travel rather than relying on public transport and potentially designating parks as a smoke free zone. Seminar attendees were given the opportunity to pose questions which were largely around interventions, the role of the media, accessing diagnostics in the community, different needs of adolescents compared to adults, the requirement to invest in the science of behavioural change and the importance of workforce planning. It is intended to host a small number of health policy and engagement events throughout 2014/15 in conjunction with Imperial Global Health Institute (IGHI). Sir David Nicholson, ex CEO of NHS England will speak at the next event to take place in November 2014. Pfizer is inviting interested individuals to apply to participate in an “elevator pitch” session to be held on the 25th September in London. This will form part of the Pfizer Rare Disease Consortium (RDC) Inaugural Symposium, which will be a prestigious event bringing together senior leaders across academia and Pfizer. The call area is “future rare disease therapies”, covering any disease area within the rare disease spectrum (although applications in core themes of haematology, neuromuscular, pulmonary and cardiac would be preferred). Applicants would be requested to “pitch” their idea in a 3 minute slot (without slides) followed by a short Q&A with immediate feedback from a panel. Interested applicants should contact Vjera Magdalenic-Moussavi on v.magdalenic@imperial.ac.uk by the deadline of 1st August. About RDC: The Rare Disease Consortium is an agreement between Pfizer and GMEC which provides scientists from the GMEC partners – Cambridge University, Imperial College London, King’s College London, Queen Mary University London, University College London and Oxford University – the opportunity to work with Pfizer scientists on joint drug discovery programmes. Bringing together the scientific and clinical excellence of the Universities and Academic Health Science Centres in the GMEC cluster with the drug discovery and development skills of Pfizer has the potential to accelerate the translation of basic science into a new generation of innovative medicines for the treatment of these debilitating and life-threatening conditions.